Crunchy on the outside and chewy on the inside, that is how I like to eat my ginger snaps. A few years ago my son's culinary class made these cookies to donate to a bake sale to raise money for needy kids. These were a hit with everyone and disappeared fast. They were even requested as a special order for another event. I had been holding on to this recipe in hopes that I could make them myself one day. That day finally came and I cannot stop eating them. Why did I wait so long to make them? 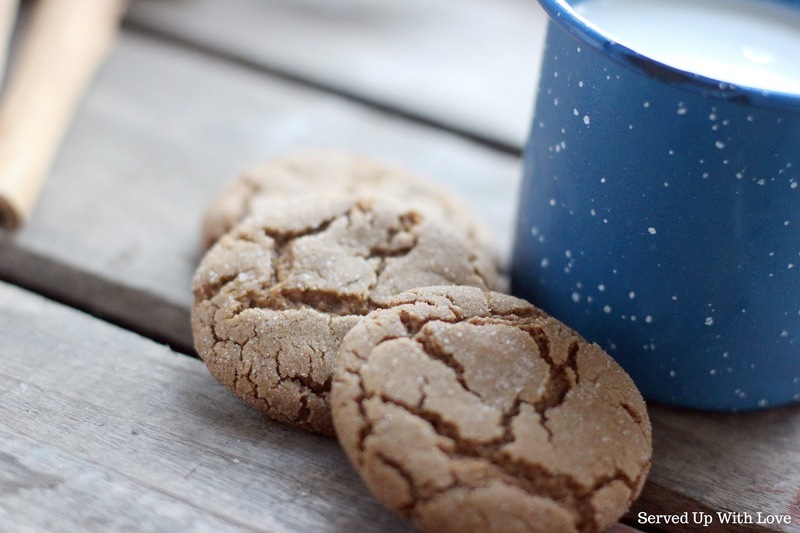 A night by the fire with the Christmas tree lights a glow, a cup of hot coffee and these cookies in hand, sound heavenly.The spiciness of the ginger and the richness of molasses are a nice accompaniment to coffee or tea. I imagine hot cocoa and milk would be good too. If you are looking for something a little different to add to your cookie trays this year, why not add these. I know they are probably cheaper to buy by the bag, but they are far from as good as these are. I seriously can't stop eating these cookies. Someone save me! Preheat oven to 375 degrees. In a large bowl, mix together the brown sugar, oil, molasses, and egg. In a separate bowl, combine flour, baking soda, salt, cloves, cinnamon, and ginger. Stir into molasses mixture. Roll dough into 1 1/14 inch balls. I used a small cookie scoop to keep the cookies consistent. Roll each ball in white sugar before placing 2 inches apart on an un-greased cookie sheet. Or use parchment paper. Bake for 10-12 minutes. Cool or wire racks. Yum! 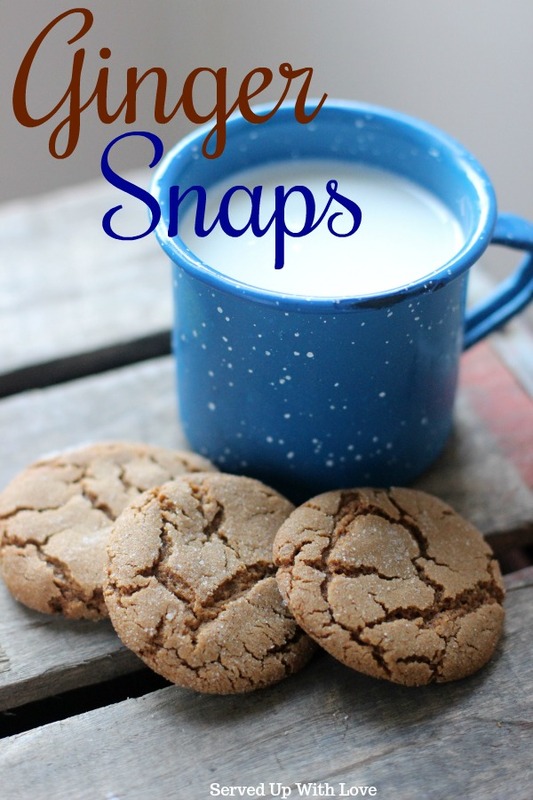 Gingersnaps are one of my favorite cookies! Your cookies look amazing! Stopping by from Do Tell Tuesday! Thanks Teri, they are super yummy and I must make these again soon. Thanks for stopping by! This looks FABulous! 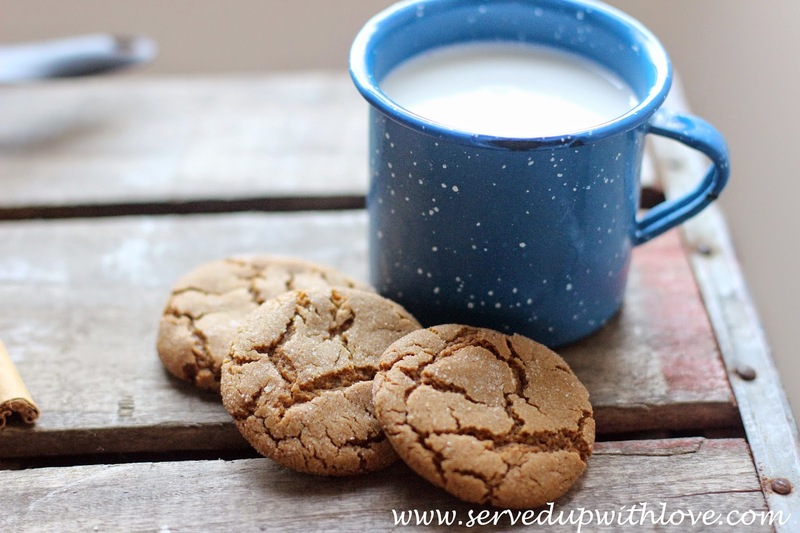 I’ve never made ginger cookies before – but this could change all that, because it looks delish. And your photography – divine!